You might assume that the animation revolution began in 1937 with the release of Snow White and the Seven Dwarfs, but actually, the genre has actually existed almost as long as its live-action counterpart. This timeline through the decades outlines animation's humble beginnings—from simple drawings on a blackboard and the first cartoon—to major technological breakthroughs including the introduction of color and completely digital animation production. J. Stuart Blackton's "Humorous Phases of Funny Faces" is released. It is a three-minute short in which Blackton creates animating drawings of faces and people against a plain blackboard. The first short comprised solely of animated images Emile Cohl's "Fantasmagorie" premieres in Paris. "Humpty Dumpty Circus" marks the first use of stop-motion animation on film. Earl Hurd invents the process of cell animation, which would revolutionize and dominate the industry for much of the 20th century. "Gertie the Dinosaur" is widely considered the first animated short to feature a distinguishable character. Cartoonist and animator Winsor McCay brings a walking, dancing dinosaur to life. The first feature-length animated film, Quirino Cristiani's "El Apostol," is released. Unfortunately, ​the only known copy was destroyed in a fire. Felix the Cat makes his debut and becomes the first famous animated cartoon character. The first color cartoon, John Randolph Bray's "The Debut of Thomas Cat," is released. Walt Disney animates his first animated short, "Little Red Riding Hood." Though initially thought lost, a copy was found and restored in 1998. Mickey Mouse makes his debut. 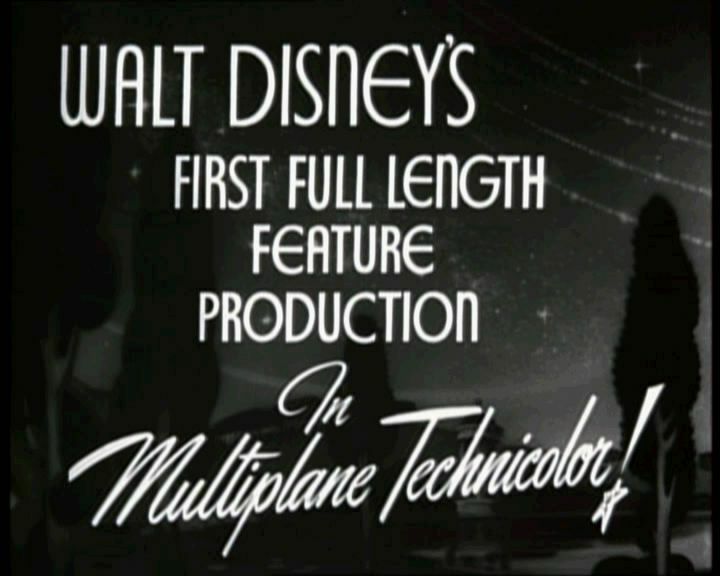 Though the first Mickey Mouse cartoon is technically the six-minute short "Plane Crazy," the first Mickey Mouse short to be distributed is "Steamboat Willie," which is also the first Disney cartoon with synchronized sound. Disney's iconic line of animated shorts, "Silly Symphonies," kicks off its prolific run with "The Skeleton Dance." Betty Boop debuts as a woman/dog hybrid in the short "Dizzy Dishes." Warner Bros. Looney Tunes makes its debut with "Sinkin' in the Bathtub." Quirino Cristiani's "Peludopolis," which tells the story of a military coup against a corrupt president, boasts the first instance of sound within a feature-length animated film. There are no surviving copies of the movie in existence. The first full-color, three-strip Technicolor animated short, "Flowers and Trees," is released. The film wins Disney the first-ever Academy Award for Animated Short Film. "King Kong," which features several stop-motion animated characters, is released. Ub Iwerks invents the multiplane camera, which allows animators to create a three-dimensional effect within two-dimensional cartoons. The Russian film "The New Gulliver" becomes the first full-length feature to employ stop-motion animation for the bulk of its running time. "Snow White and the Seven Dwarfs," Walt Disney's first full-length animated feature and the first such production to emerge out of the United States, is released. It becomes a huge box office success and Disney was awarded an Honorary Academy Award for the achievement. Bugs Bunny makes his debut in "Porky's Hare Hunt," though the character wasn't named until 1941. Tom the cat launches his unending pursuit of Jerry the mouse in the Oscar-nominated short "Puss Gets the Boot." Woody Woodpecker arrives on the scene with a small role in the Andy Panda cartoon "Knock, Knock." The first full-length animated musical, "Mr. Bug Goes to Town," is released. Disney's first live-action film, "Song of the South," is released and boasts several animated interludes. Because of its controversial depiction of the African-American character Uncle Remus, the film has never been released on home media in the United States. Prolific stop-motion animator Ray Harryhausen makes his debut with the creation of the title character in "Mighty Joe Young." Ralph Bakshi's "Fritz the Cat" is released as the first X-rated animated feature in cinematic history. Computer-generated images are used for the very first time in a brief shot within "Westworld." Revolutionary special-effects company Industrial Light & Magic is founded by George Lucas. "Tron" marks the first time that computer-generated images are used extensively in a film. Pixar's first short, "Luxo Jr.," is released. It is the first computer-animated short to receive an Academy Award nomination. "The Simpsons," an American adult animated sitcom created by Matt Groening airs. 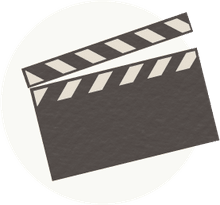 It is the longest-running American sitcom, the longest-running American animated program, and in 2009 it surpassed "Gunsmoke" as the longest-running American scripted primetime television series. Disney's "Beauty and the Beast" becomes the first fully animated film to receive an Oscar nomination for Best Picture. "Jurassic Park" becomes the first live-action film to feature photorealistic computer-animated creatures. The first computer-animated film, "Toy Story," is released to theaters. The achievement is honored with a Special Achievement Academy Award. "Star Wars Episode I: The Phantom Menace" marks the first film to use computer-generated imagery extensively and pervasively, in terms of its sets, special effects, and supporting characters. The Academy creates a Best Animated Feature category. "Shrek" is the first movie to win the Oscar. "The Lord of the Rings: The Two Towers " features the first photorealistic motion captured character for a film with Andy Serkis portraying Gollum. "The Polar Express" becomes the first fully-animated film to use motion capture technology to render all of its characters. "Chicken Little" becomes the first computer-animated film to be released in 3D. James Cameron's groundbreaking "Avatar" is the first film to feature a fully computer-generated 3D photorealistic world. ParaNorman is the first 3D stop-motion animated film created with characters that are computer generated using 3D printing technology.